Here’s a little information about “Higher Moon”. 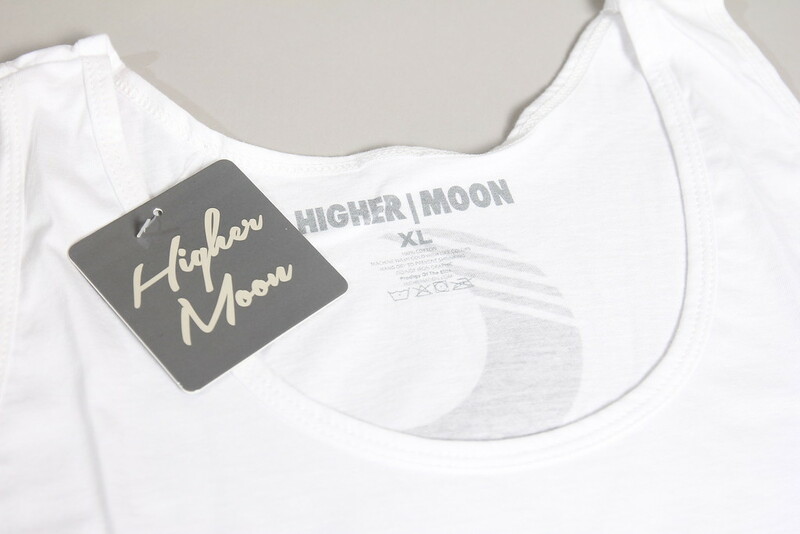 Higher Moon is an elite clothing line that is based on conceptual design and theory. 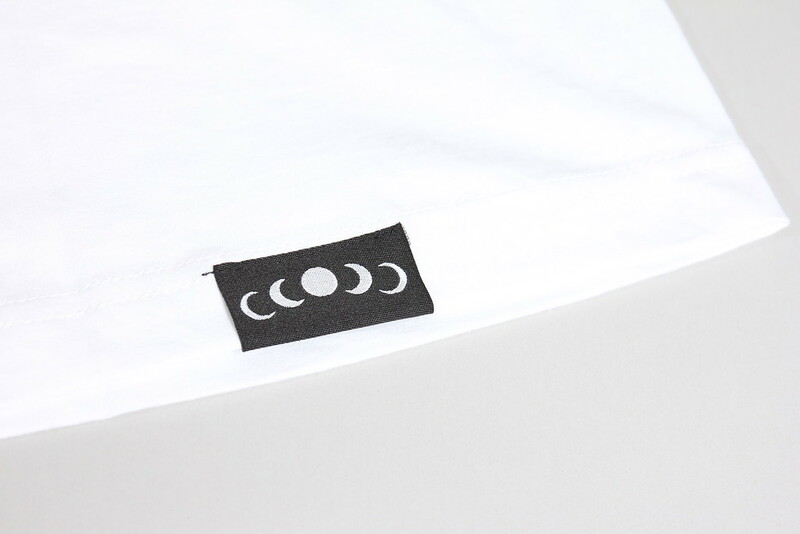 The brand is consumed by outer-world elements and abstract messages. The founder’s mission was to effectively convey his vision of life through art. Now before we start the review, I would personally like to thank the staff over at Higher Moon for sending us this package. Giving us the opportunity to deliver this in-depth product review! We hope that you enjoy this new review. 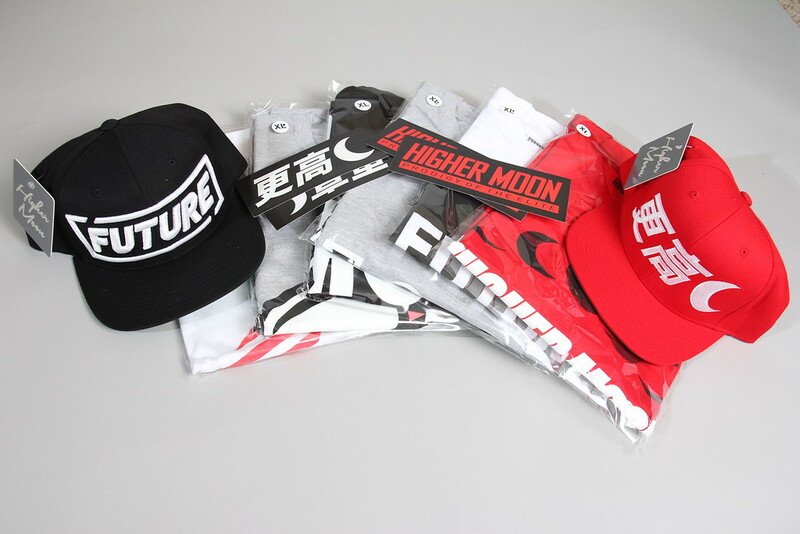 The package is on-point, definitely a huge fan of their apparel. 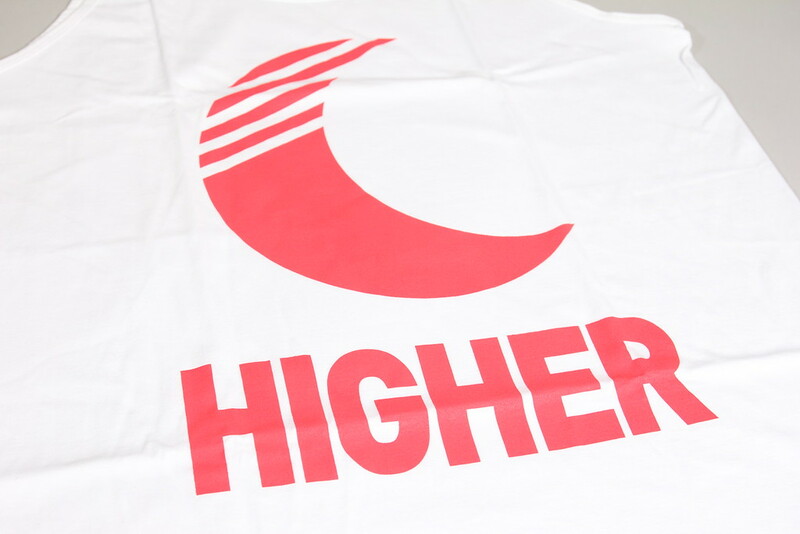 Now we present you with this awesome review on Higher Moon! – Packaging : Arriving at our doorstep in a fairly sized box was a care package from the folks over at Higher Moon. Inside we were greeted with numerous products neatly packed in poly bags arriving in out hands safely and ready to wear. Great job to Higher Moon for going the extra mile with their packaging and shipping. – Extras : Now aside from apparel We were also presented with some stickers. Which of course you know we love stickers! It’s always great to receive a little something extra with your order. So kudos to Higher Moon for including some extras. 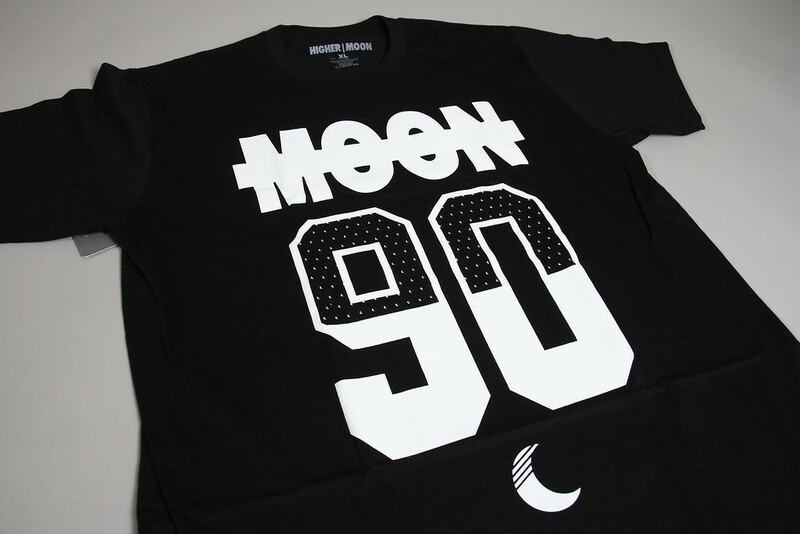 – Design : So Higher Moon presented us with numerous things giving us a closer look at what they have to offer. All the designs they’ve presented us with were pretty straight forward and very appealing to the eye. 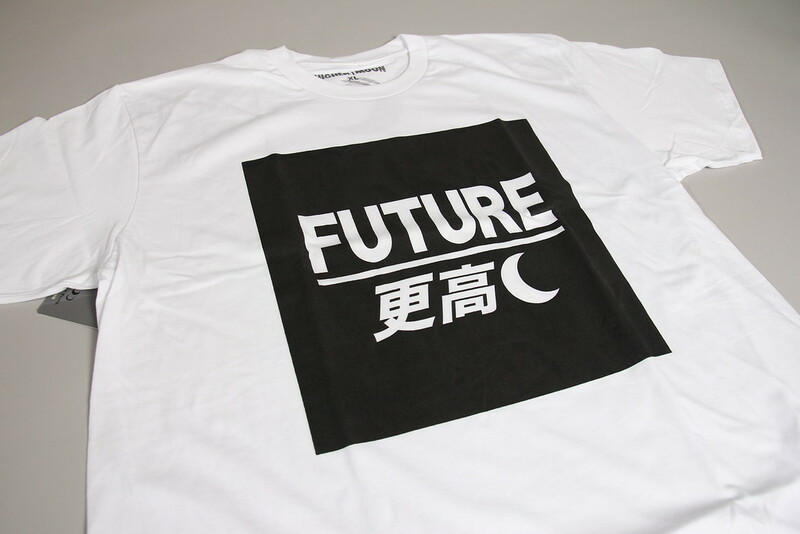 The designs are really simple and clean and the color choices with the artwork is on point. 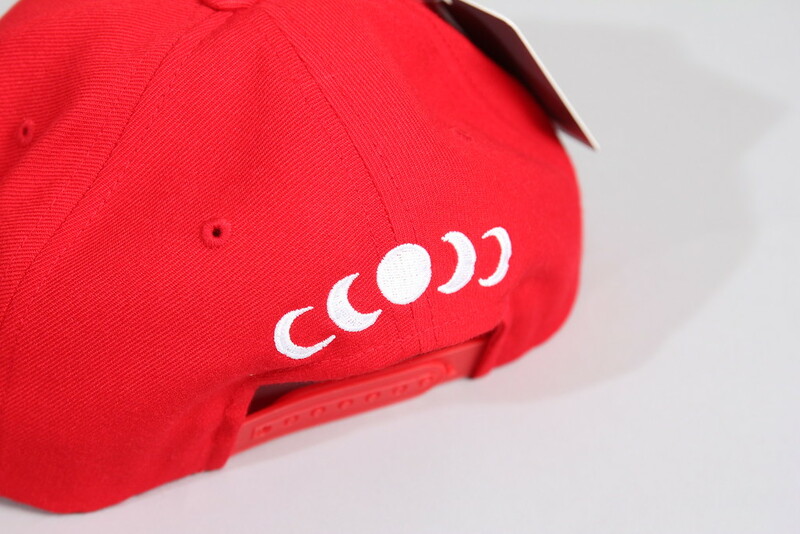 On every garment you will notice custom hand tags giving it that professional look. 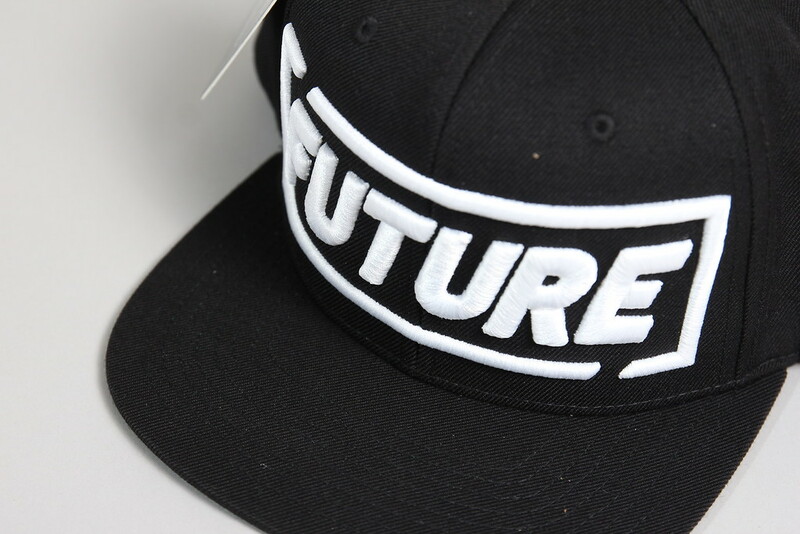 As well as inner sizing printing and custom lower hem tags. Definitely an awesome touch to the brand. 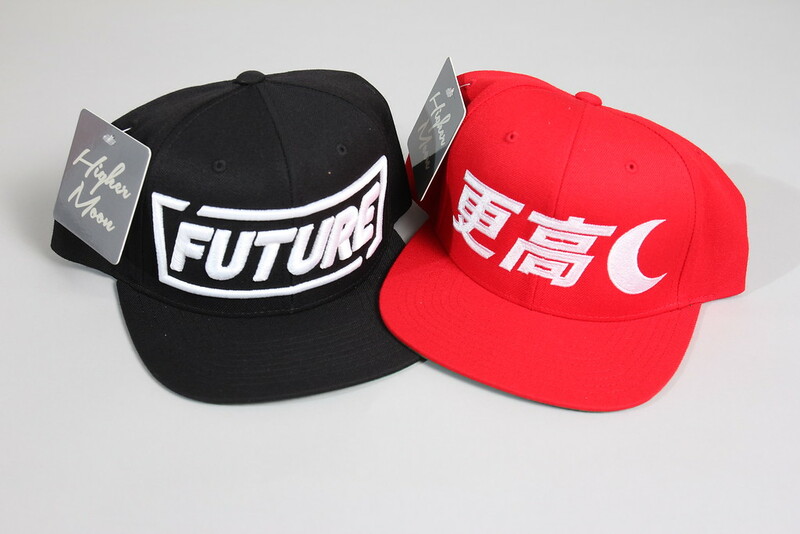 The headwear that was presented to us was very solid. Fitted very well and the design was on-point. – Quality : Overall I am impressed with everything. 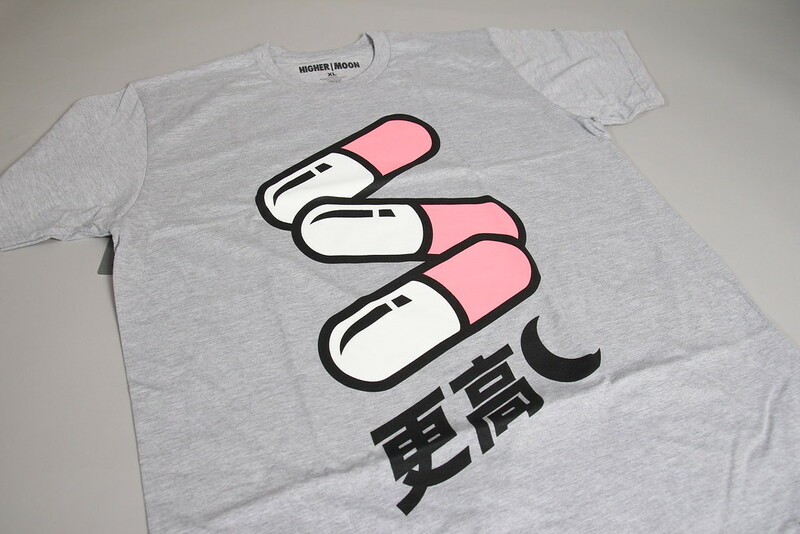 From the quality in the garment they used to the print everything is superb. I really love what Higher Moon has in store. An definitely can’t wait to see what they have up their sleeve for the future. 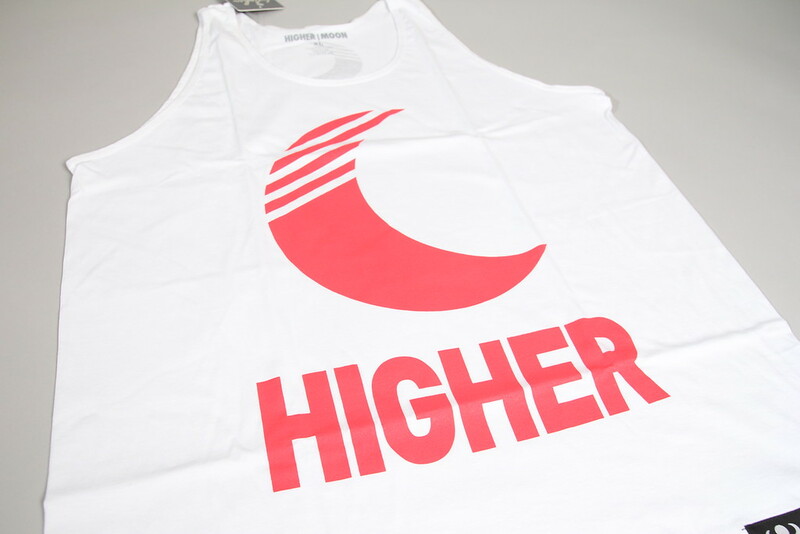 I highly recommend looking into Higher Moon, if you are looking for a new brand to get into. 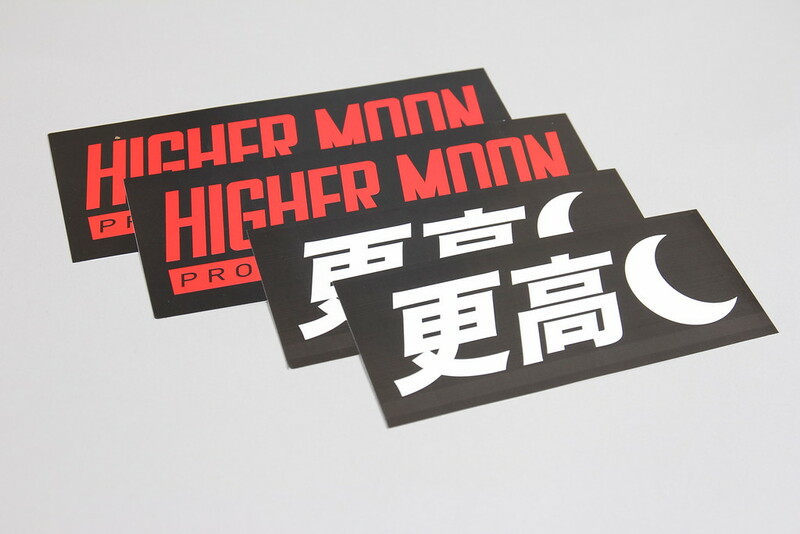 The staff over at Higher Moon is very friendly and helpful as well, so don’t be shy and look into Higher Moon. – Pricing : Last but not least we get into the pricing of things. So overall you are looking at roughly $30 for shirts and tanks and about $32 for headwear. The price is pretty standard and pretty affordable for the awesome quality you are getting. So you are definitely getting your moneys worth when shopping at Higher Moon. 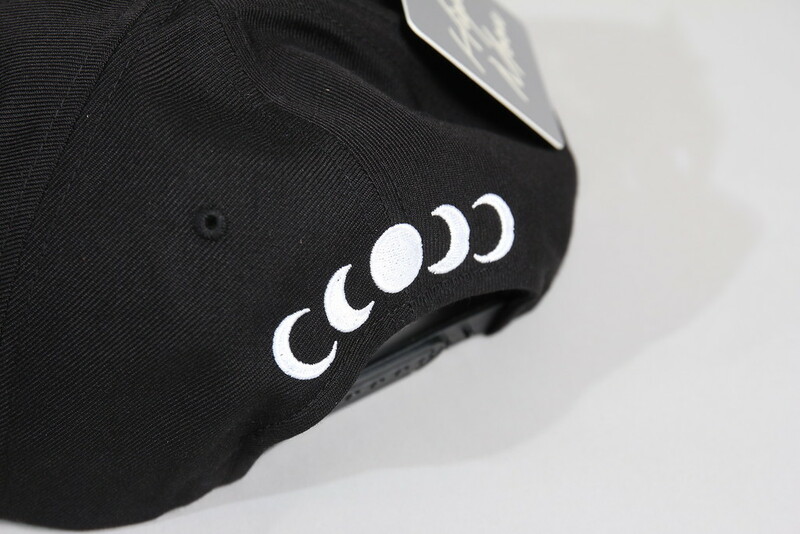 The items we’ve photographed above all can be found on their online store. We’ve listed the links below so that you can check it out for yourself. 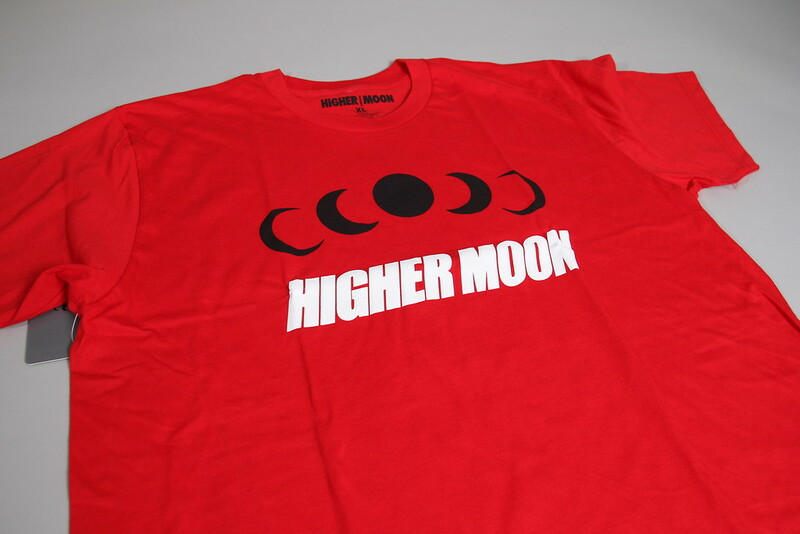 Higher Moon has various clothing available for affordable prices. 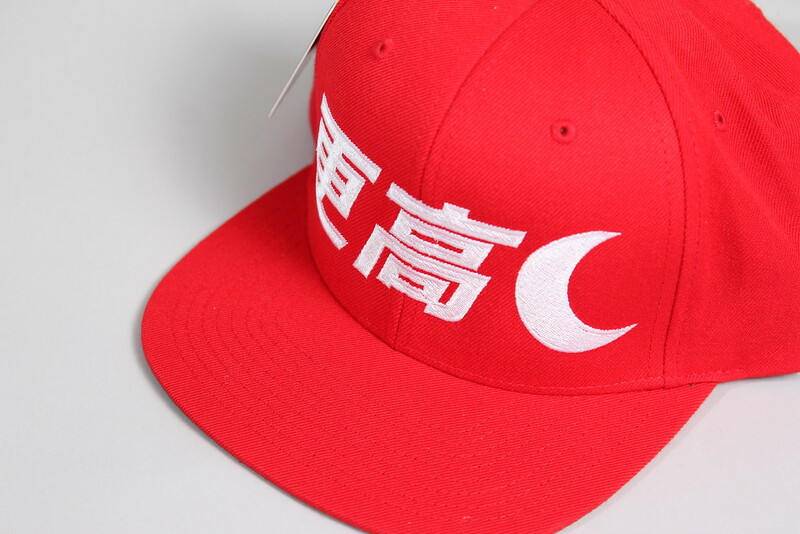 So definitely check out their online store when you get the chance.